The medical mobile application is specifically developed to boost patient retention at facilities that treat opioid abuse. The app is intended to be utilized alongside other treatments under a healthcare professional’s supervision. Pear Therapeutics, a renowned U.S-based biotech firm, has reportedly announced that its mobile medical app has successfully received clearance from the United States Food & Drug Administration. 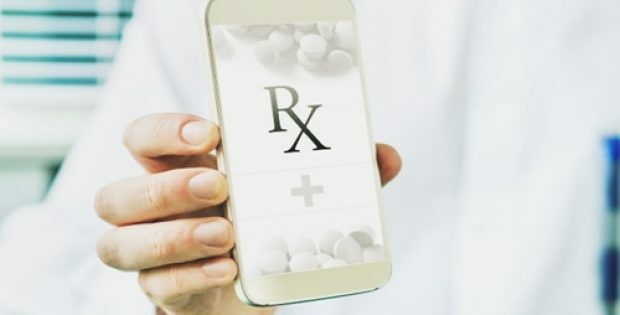 Reports cite, the mobile application has been specifically developed to help in increasing the rate of patient retention at facilities that treat individuals for opioid abuse. According to a press release by Pear Therapeutics, the application, named as the reSET-O, aims to help individuals suffering from OUD (Opioid Use Disorder) by offering a CBT (Cognitive Behavioral Therapy) an a supplementary to outpatient treatment which also includes contingency management and transmucosal buprenorphine MAT (Medication-Assisted-Treatment) for individuals aged 18 years or higher and are presently under a healthcare professional’s supervision. Reportedly, reSET-O would be a prescription-only mobile application. Reports claim, over 72,000 Americans lost their lives due to drug overdose in 2017, including from prescription opioids and illicit drugs, with U.S. president Donald Trump classifying the crisis of opioid addiction as a public health emergency. The FDA has reportedly taken several steps to expedite the process of approving alternative solutions that would also help contain the abuse. The agency recently selected eight medical device manufacturers, including a virtual reality (VR) startup, through an innovation competition aimed at appropriately handling the crisis. The FDA Commissioner, Scott Gottlieb stated that as a part of the administration’s efforts to address the abuse and misuse of opioids, the FDA has specifically focused on new therapies & tools that could help more people suffering from opioid use disorder to successfully curb their addiction. According to reports, Sandoz, a unit of Novartis AG, would be leading the deployment of the applications inside the U.S. in the fourth fiscal quarter.